Chamber, Customs administrations and business representatives converged in Manama, Bahrain on 18-19 August to discuss the effective implementation of the ATA System for the duty and tax-free temporary import and export of goods in Bahrain. Hosted by the Bahrain Chamber and conducted by the Dubai Chamber of Commerce and Industry the workshop presented the ATA System to trainees and gave them in-depth instruction of its administration and promotion. Bahrain ratified the International Convention on the temporary admission of goods – the so-called Istanbul Convention – in May 2012. Following the steps taken by the United Arab Emirates in April 2011 to accept ATA Carnets, Bahrain is learning the process of issuing ATA Carnets to the benefit of the region’s business community and foreign counterparts. 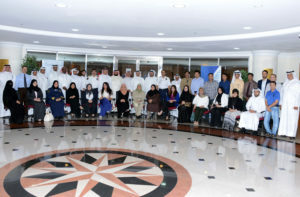 Further sessions will take place for the chamber’s junior staff and the Bahraini English-speaking business community. Celebrating its 50th anniversary in 2013 the ATA System is jointly managed by the World Customs Organization– the holder of the international Conventions on the temporary admission of goods – and the ICC World Chambers Federation– the administrator of the international guarantee chain. Over the last 50 years, the system has spread from a few Western European countries to cover 73 countries on all continents. Today, more than 175,000 ATA Carnets are issued yearly for thousands of customs transactions worth over US$ 25 billion. Goods covered include professional equipment, commercial samples and material for trade fairs and exhibitions. Some examples of note include: a prototype solar car, World Cup yachts, Giorgio Armani apparel, McLaren Grand Prix cars, Munich Symphony Orchestra instruments, Australian Olympic horses, Harley Davidson motorcycles and equipment for the Bolshoi Ballet, Cirque du Soleil, BBC and CNN.